Eurohold Bulgaria has launched a leasing services company in Macedonia, dubbed Eurolease Auto Skopje, the holding company said. The equity capital of the new company is in the amount of 50,000 euros in nominal terms, divided into 1,000 shares of 50 euros nominal value each. Eurohold Bulgaria is the sole owner of the equity capital of the newly established entity. Eurolease Auto Skopje is expected to be registered in the Central Depository and to obtain a license for leasing operations by the Ministry of Finance soon. These procedures should be finalized by the month of August and the company will start functioning from September this year. There are around 12 leasing companies licensed to operate on the Macedonian leasing market and only 4 of them are active. The sales growth of the Macedonian vehicle market in 1997 is comparable to the one in Bulgaria. This is a prerequisite and opportunity for development of the leasing business, which gains popularity as a main method of financing. The CEO of the newly-established company company has already been selected. The next steps include company team formation and software installation and integration. Preliminary meetings with leading banks to finance the leasing activity have already been conducted. The establishment of a new leasing company in Macedonia is in line with Eurohold’s strategy to realize optimal synergy between leasing and insurance operations through creation of leasing companies in all countries where Euroins Insurance Group (EIG) is present. Eurolease Auto Bulgaria increased its equity capital from 9,000,000 leva to 10,444,195 leva through the issuing of 1,444,195 new shares with nominal value of 1 leva per share. The capital increase was exercised through income retention for 2007. 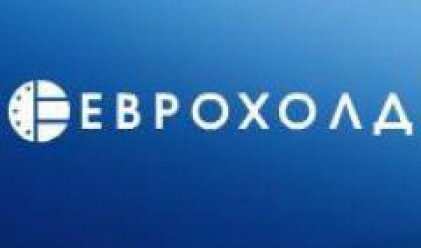 Eurohold Bulgaria subscribed 962,801 new shares. The capital increase will support the forthcoming leveraging of the business in line with the expansion of the leasing activity. For the H1 2008, the leasing receivable of the company are in the amount of BGN 63 mln leva; 1300 contracts have been signed for over 1600 leased assets. The leasing company Eurolease Auto Romania finalized the procedure of company equity capital increase. The new equity capital is in the amount of 3,836,500 divided into 383,650 shares with nominal value of 10 leva. The increase is by RON 2 756 500 into 275,650 new shares. Eurohold Bulgaria subscribed 256,730 shares thus increasing its ownership from 51% to 66,92%. The company has already secured financing for its forecast leasing portfolio for 2008 and gradually expands its operations not only among the auto dealerships in Bucharest but also in the rest of the Romanian cities. The Board of Directors of Euroins Romania has decided to increase the equity capital of the company from RON 24,200,000 to RON 36,300,000 through the issuance of 12,100,000 new shares with nominal value of RON 1. The equity capital increase procedure is expected to be finalized by the end of August this year. For the first 6 months of 2008, the company has opened 12 new agencies under franchising agreements. Eurohold Bulgaria in its capacity as a sole owner of Eurolease Rent-a-Car increased the equity capital of the company from 5,000 leva to 635,000 leva through the issuance of 6,300 shares with nominal value of BGN 100 per share. The company expects a busy season during the summer months due to signed contracts with leading tourist and rent-a-car agencies. Eurolease Rent-a-Car has at its disposal large, new and varied auto fleet. In May 2008, a new office was opened at the airport of the coastal city of Varna.